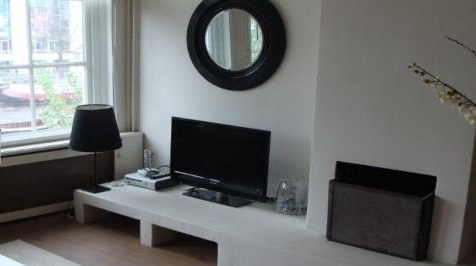 This spacious, high standard and monumental 2 bedroom apartment is located on the start of the Amstel River right behind Rembrandt Square and the Flower Market. The building dates back the the 16th century and is very luxury out fitted. 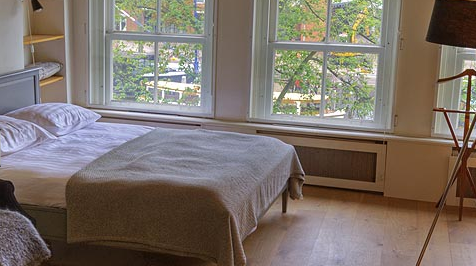 Both the living and bed room provide a truly magnificent view on the point of the Amstel River where the river spreads out into 4 different historic canals. 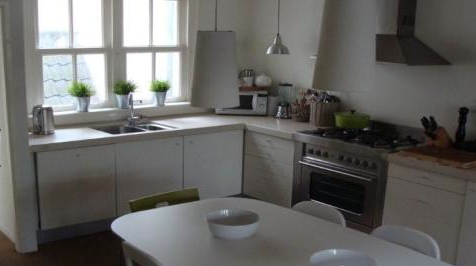 This apartment is located right in the middle of the historic city and has a very authentic and cozy feel to it. 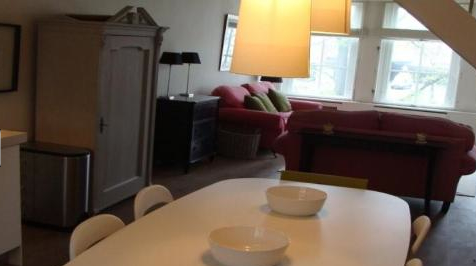 Dam Square, Rembrandt square and Leidseplein square are thanks to the apartments position in the middle of the city all at less than 10 minutes walking distance. 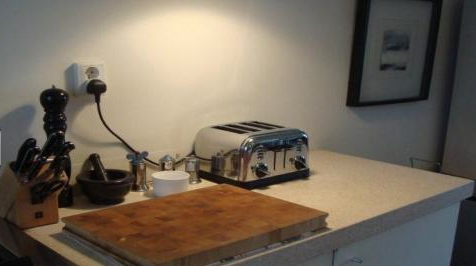 The living room on the first floor of the apartment (second floor of the building) contains the very luxury kitchen and open bar. The living area looking out on the canals has a very cozy and authentic fire place, large screen plasma, comfortable sofa's and seating. 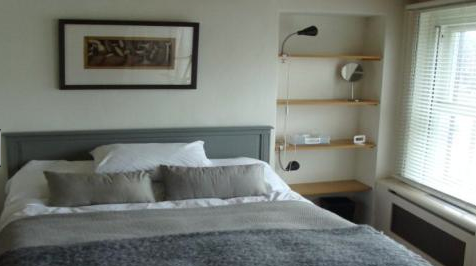 The main bedroom has a double bed, television, bedside tables and lights and is located on the 1st floor. The secondary bedroom is located one stairs from the living room up in the attic and has a double bed, bedside lights and tables. 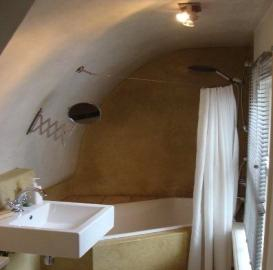 The luxury bathroom is made out of natural stone and has a comfy bathtub, massage shower system, sink and the toilet. WARNING: steep stairs to reach the apartment.